The Stonerose Interpretive Center and Eocene Fossil site is a great location to learn how to hunt for fossils. Located a few hours from Seattle this fossil site allows families to discover, and take home, 50 million year old fossils. Cost: Varies with age and family size, for our family of four is cost ~$50 for a day of digging, tool rental, identification help, and the choice of 3 fossils per person to take home. Did you know that there is a place in Washington State that you can legally dig fossils and be almost garunteed to find them? Not only that, but also people there to train you and help you identify all of your fossils after? There is. It's called the Stonerose Interpretive Center and Eocene Fossil Site. And it is nothing short of amazing. I give the experience 4 out of 5 stars. Although, to be fair, the lack of one star is totally on me, and my four year old. One really can't expect a four year old to want to dig for fossils for an entire afternoon. My eight year old, however, was happily chipping away the whole time. To be honest, you don't even need to arrive prepared. For a few dollars per person you can rent their equipment. It is nothing fancy but it does the job. If you aren't in the market to buy a bunch of tools, it is certainly a cheaper route to go. You also don't need any sort of fancy wrappings, bags, brushes, etc. Save all that money for a delicious milkshake after a long day in the sun. 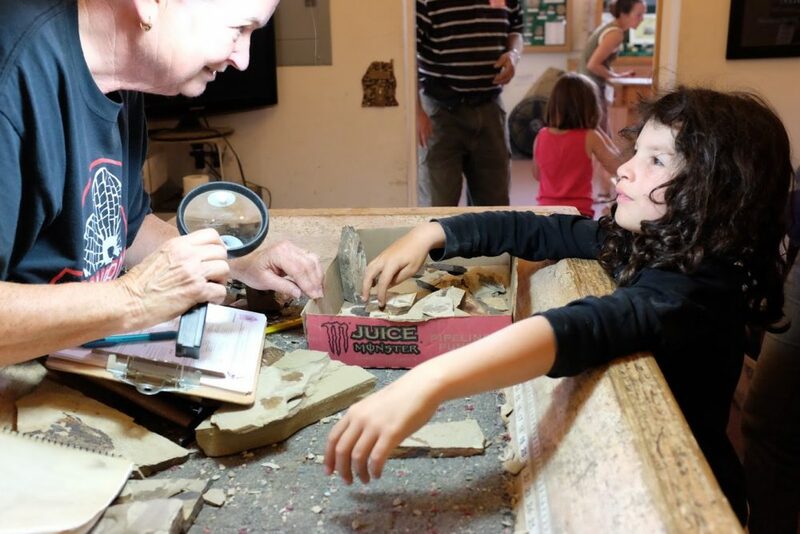 To start your fossil digging experience you head over to the Stonerose Interpretive Center. There you will sign a few waivers and fill out some information on their computers. The interpretive center has two main rooms, a fossil identification room, and a gift store room. The gift store is certainly worth a look around. They have everything from geodes for kids to insanely cool fossils for anyone who wants to open their wallets a bit more. Once you have filled out the necessary paperwork one of the workers will give you a great rundown on their fossils. You’ll learn how to identify shale, how to crack open the rocks, what to look for, and lots of other interesting tidbits. From there it is a short 2 minute drive up to the fossil site, which looks exactly like a large shattered hillside of bathroom tiles (aka shale). The kids had a lot of fun trying to walk around in the rock pile and using their hammers to crush things. After a little bit of practice, they were able to figure out how to use the hammer and chisel to crack open the rocks. My preschooler, however, preferred looking for pretty stains on shale found on the ground. This was a bonus since you could take home as many stains as you desired. 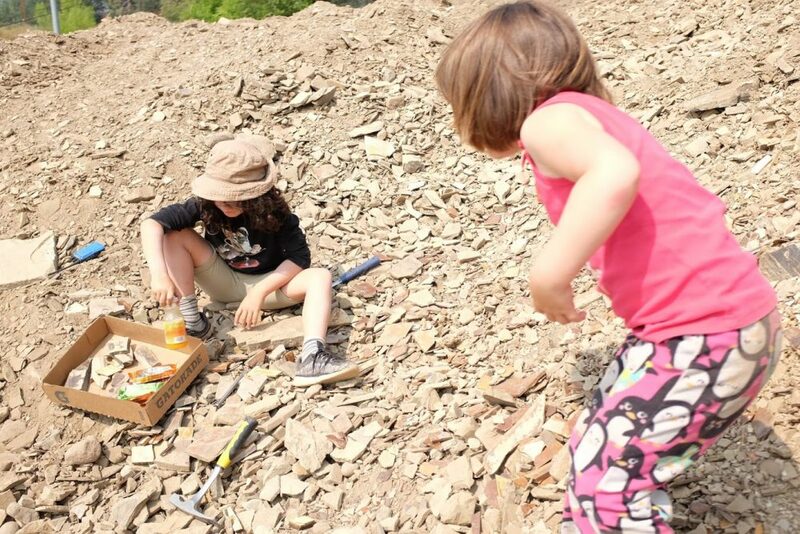 It’s important to note that fossil digging with kids can get boring for younger ones quickly. 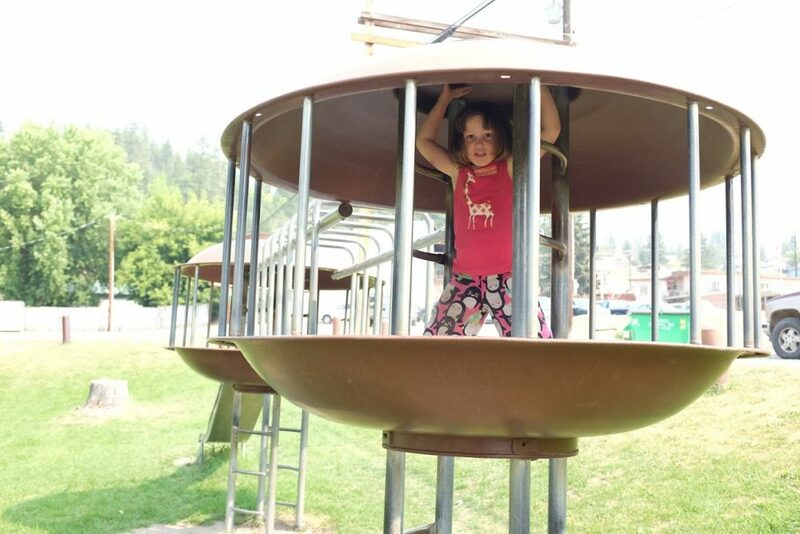 Thankfully there was a great little play park within walking distance of the Eocene fossil site. The town was just another block or two away too. This made it easy to take a quick break, grab snacks, and hit the fossil slopes once again. This is one of my favorite little fossils we cracked open, mostly because it is such a great way to help all of our friends and family visualize exactly what we did. 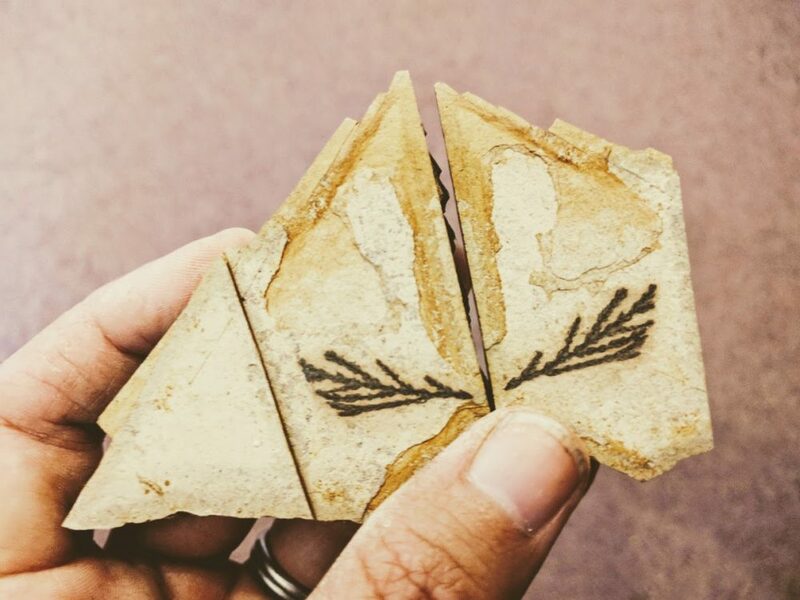 This cedar fossil cracked open so perfectly you could see both sides of it! It is also really amazing to show this (and all of the other plant fossils) to friends and hear them remark how easily identifiable they are. This may not seem like too big a deal (I mean that does look exactly like cedar pines), until you remember they are 50 million years old. The center has lots of highly trained staff, and it is a requirement that you bring all of the fossils you find back to the Stonerose Interpretive center at the end of your day. This is to help them catalog what types of fossils are being found, educate you on what you found, and make sure any scientifically interesting fossils get carried away to special places for further study. It also helps you lay out what you found to choose your top 3 per person. If your fossils are small and the rocks you bring back are large they also have a cool rock cutter. Both the girls got to use to cut the fossils down to more manageable sizes since this visit was at the start of a two-week camping trip out of our tiny Honda Civic. They squealed at the power of crushing rock! These are the fossils we ended up taking home. They are turning into great little gifts to loved ones who ooh and aw as we show them the box and then gasp when they find out they get to keep one. We only found plant fossils, although the back of one fossil has a bunch of sediment from a storm long ago and you can just make out a tiny fishbone in it. The site is also known to have insects though, which would be so insanely cool. All in all, this was such a fun visit and I would absolutely highly recommend it to anyone passing through the area or interested in finding a fossil dig site. It opens the door to talk about different eras (like what is the difference between Eocene and Precambrian? 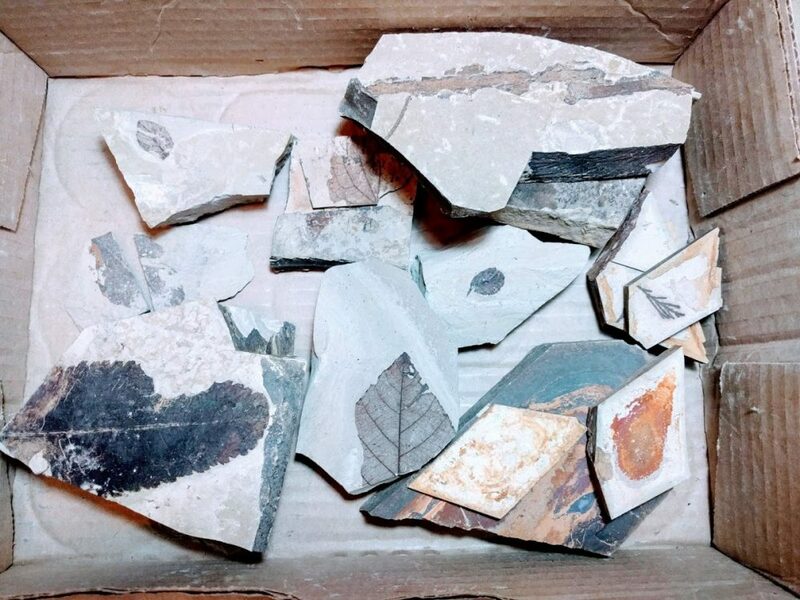 ), how fossils are made, geological formations, and more – aka, SCIENCE! See other cool science infused places we love!